The Almond Shell Necklace is an original creation from the WHERE THE ALMOND TREES AND WIND MILLS ARE series, inspired by an isolated place in Catalunya. It is made of casted porcelain, covered in transparent glaze and fired at the high temperature of 1240°C. Some pieces of the necklace have a thin layer of gold for which is required a second firing of 800°C. The pieces are assembled on white artificial leather and the closing system is made of gold-filled metal. A piece with a romantic vibe, the Almond Shell Necklace lights up the look giving a divine note to the wearer. 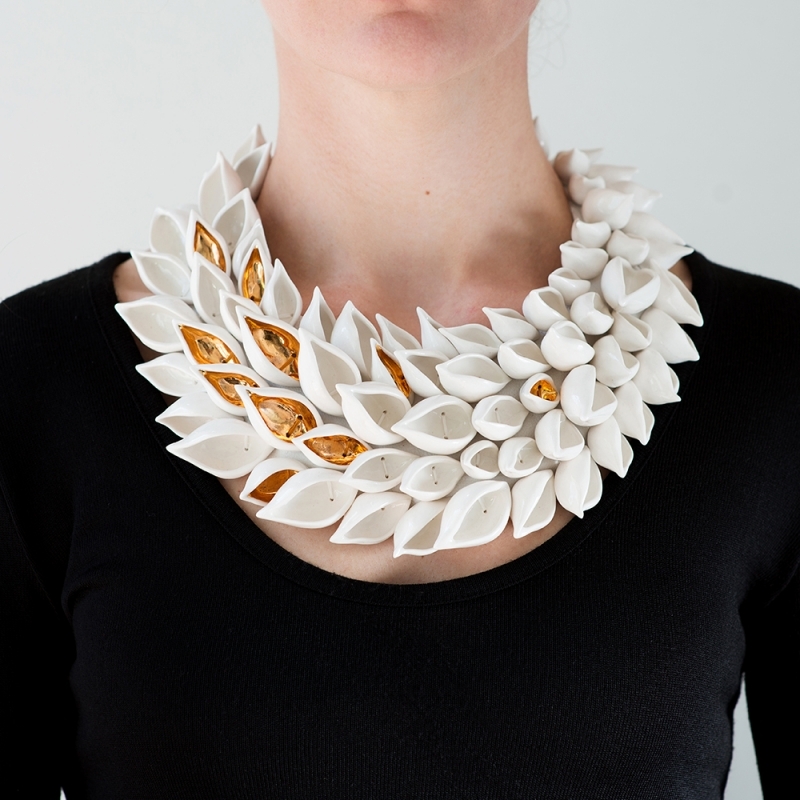 Material(s) porcelain, transparent glaze, colloidal gold, artificial leather, gold-filled chain and lock.